Speech focuses on difficult times and hope. In a matter of days, Robert Burton has become a household name after demanding that UConn return $3 million in donation he made to the football program. Malloy said he called Burton on Friday after getting a copy of the letter, the Day of New London reports. Like any good politician, the governor took a diplomatic approach to the controversy and said he hopes relationships will improve. 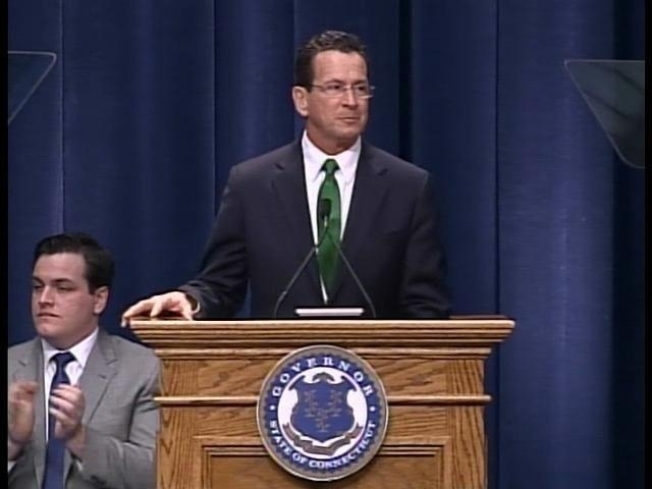 Malloy, the Day reports, said at a news conference on Tuesday that he knows Burton from a previous interactions when he was still Stamford Mayor. “These types of things are frequently two sides of any issue and I’m not familiar with the other side,” said Malloy, who added that it's up to the university to run itself, and to do so appropriately.